What to post on your Facebook Page today? We made some nice graphics for all Small Business Facebook users and Sqwiz users. 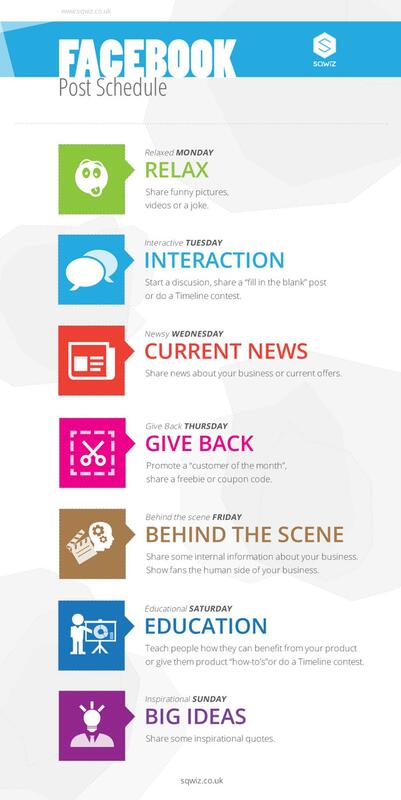 Facebook Post Schedule will help you to interact with your audience everyday of the week.